I borrowed this book, Canning For A New Generation: Bold, Fresh Flavors For The Modern Pantry , from my mom (Thanks!). 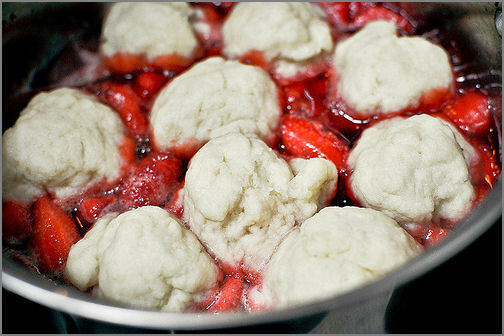 It has canning recipes for every season, and Strawberry Dumplings is one of the Spring recipes. 'Tis the season! I just so happen to have a refrigerator loaded down with strawberries right now. I know you guys are interested in calorie/fat info (as am I). Unfortunately, this book has no nutritional information :-(. 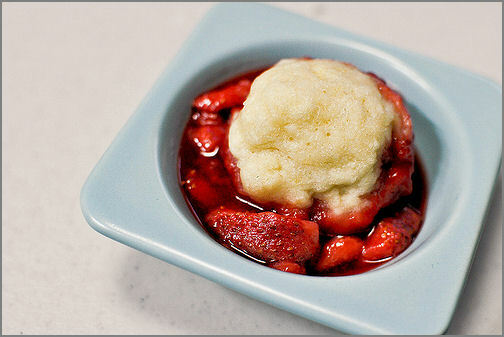 However, most recipes that I have seen for Strawberry Dumplings fall in between the 170-257 calorie range. Everything in moderation! 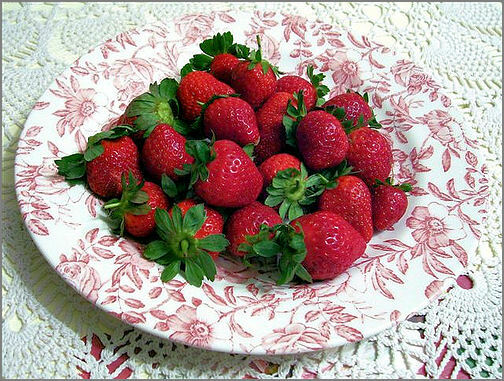 1) Place the strawberries, orange juice, 1 cup water, cornstarch, sugar, and butter in a deep, nonreactive skillet with a lid. The strawberries should cover the bottom of the skillet in a single layer. 2) Stir gently to combine. 3) Cover and place over medium heat. 4) Bring to a boil and cook about five minutes, or until the liquid is thickened. 5) Meanwhile, sift the flour, baking powder, and the salt together into a medium bowl. 6) Stir in the milk and oil until just combined. 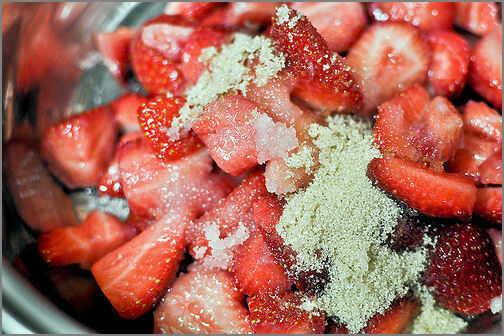 7) Using two large spoons (or an ice cream scooper), scoop the dough onto the boiling fruit mixture. 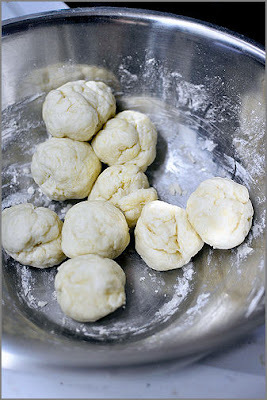 8) Grate nutmeg over the top of the dumplings. 10) Cook over medium heat until the dumplings are puffed and cooked through, about 12 to 15 minutes. 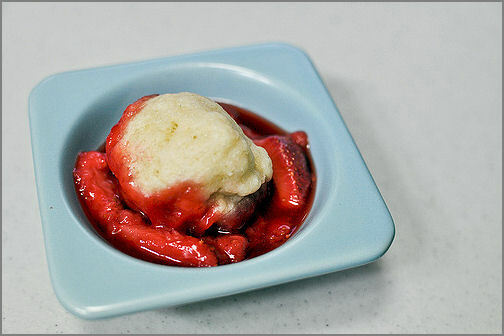 11) Serve hot in bowls.